This package has 8 unique backgrounds. 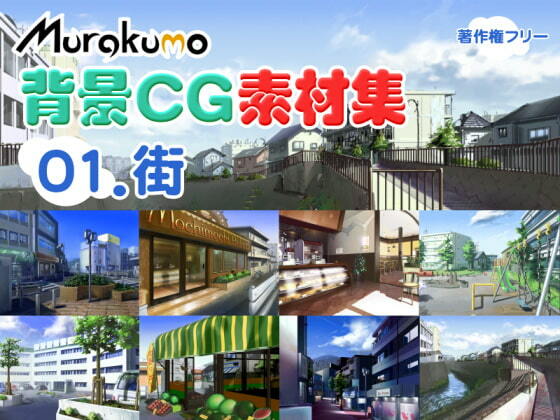 It contains a suburban crosswalk, a bakery store front (outside), a river running through the city, a fruit stand, a park / playground, a hospital with parking lot, a coffee shop / bakery (interior), and a shopping street with a hill in the background. The files are delivered as .bmps and have day, night, raining, and dusk renders. The overall quality is good. Some outside shots may look a little overexposed, but this could be adjusted with basic editing.